These fanciful fairy castle candles favors will be a cherished keepsake from your party. 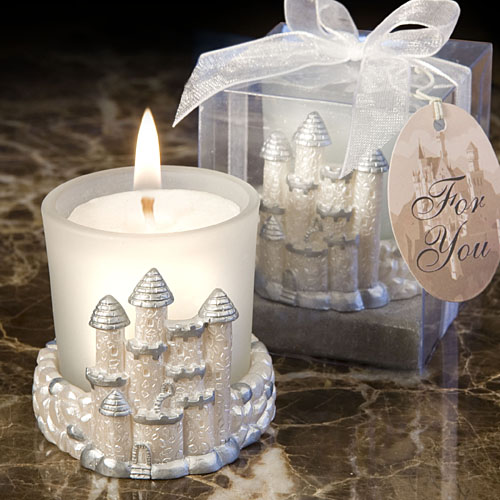 These beautiful fairy tale candy favors measures 2" x 2" and have a frosted white glass holder with a poured candle within, resting in a painted poly resin base with a multi-turreted white and silver accented castle design. Each comes packaged in a clear box with a silver base, tied with a white organza bow and an attached castle themed "For You" tag.